Yes, I do have a penchant for DIY shorts! I've got some more coming up in my next blog post too... I just don't see any reason for me to fork out 30 odd quid in Urban Outfitters for vintage Levi cut offs when I can make them myself for around £5 - £10. These are a little looser and longer than the DIY Levi hotpants I've featured on my posts before, so I can afford to gain a couple of pounds from Easter eggs - bonus! I was lucky enough to receive this top (all the way from LA!) from Sugarlips. This top stood out to me as I love anything a bit unusual, so I loved styling it for this post. The leopard print edging is cute and the arm hole style is too! I find unusually designed tops like this can be dressed up or down really easily. I would be just as happy wearing this outfit out for the day shopping as I would wearing it to bars in the evening. It's also long enough to wear with leggings - brilliant! Versatility, versatility, versatility! Here's a link to the top - explore the rest of the site too! There are some really unusual pieces that have seriously caught my eye! For example, this top - simple, but unique and brilliant for spring / summer! A quick apology for my lack of outfit posts recently. Having come home from uni to get on with some much needed work (hasn't been all that successful so far...) I haven't had much time to do my outfit posts. 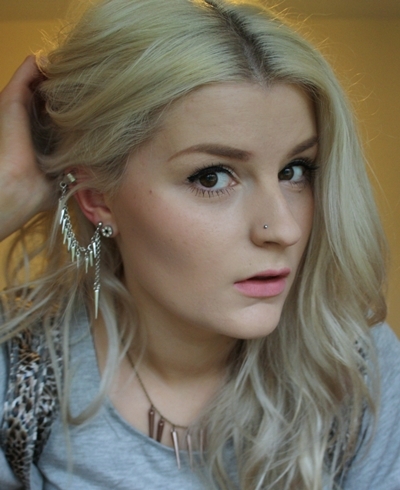 I have another blog post already lined up for around Wednesday / Thursday! Preparation is key (I will learn...!). Love the shorts, very creative!